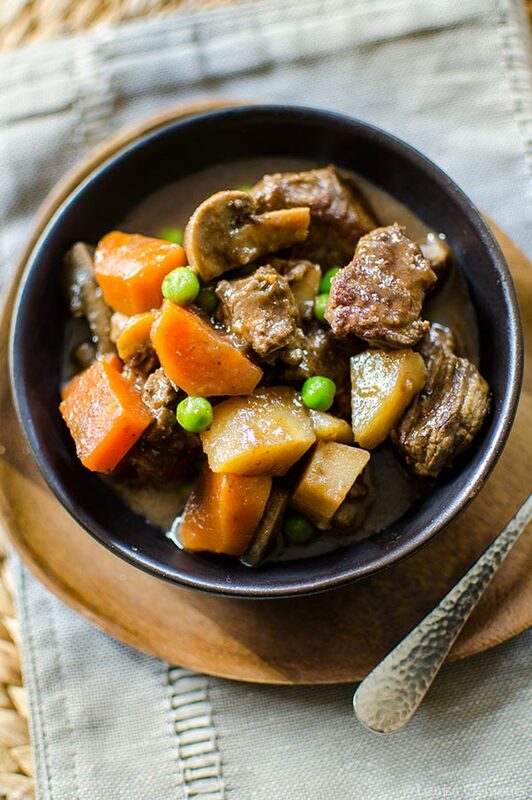 Slow cooker beef stew is must-have recipe for colder months. Loaded with carrots, potatoes, parsnips and mushrooms this stew uses espresso to boost flavour. 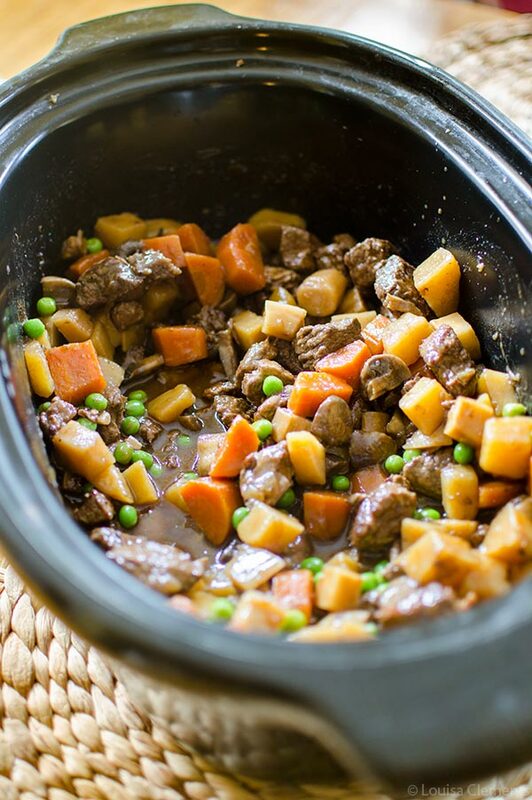 Slow cooker beef stew is, in my opinion, a must-have recipe for the colder months. There is nothing more comforting than a hearty bowl of stew, served over rice or mashed potatoes or just eaten on its own. I love that this version is made in the slow cooker, which gives you all day to do whatever it is you want to do. When the weather is cold you’ll find me in the kitchen with something braising in the oven, going to movies, marathoning shows on Netflix (Gilmore Girls, currently), going for coffee during the day or a drink in the evening (cozy winter cocktails are a must on freezing days in Toronto). However, when the winter hits, some people are more into delving into crafting projects; painting, knitting, drawing or just plain DIY-ing the heck out of everything. I’ll be the first person to tell you that my crafting and DIY skills are nonexistent. I’m more of a DIY-don’t kind of girl. I know where my strengths lie and arts and crafts are not one of them, so when this month’s Lavazza theme was “crafting” instead of attempting to create some kind of DIY, I figured I would create a recipe that you could dump in your slow cooker. This is the kind of slow cooker recipe that works if you’re planning on spending an afternoon crafting or just out of the house. This beef stew is a little different from your traditional beef stew because I’ve used brewed espresso to add depth to the broth. Ever since I started working with Lavazza back in June, I’ve been dreaming of developing a beef stew recipe in the winter; I’ve always loved using coffee to add depth to braises, soups and stews. 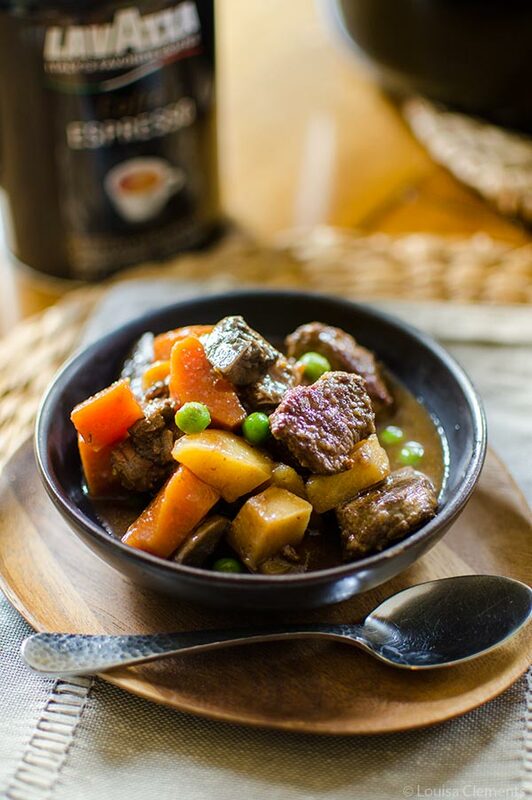 For this slow cooker beef stew, I use Lavazza’s Caffe Espresso. It is a rich and highly aromatic blend making it perfect for both drinking (my latte art is still a work in progress) and cooking (it would also be the perfect espresso for an affogato). Now, this beef stew doesn’t taste like you’re drinking a shot of espresso, instead it’s more mild and I find that the beef really soaks up the espresso taste. The depth in this stew comes from a combination of brewed espresso, beef broth, tomato paste and worcestershire sauce. Another trick I’ve used here to boost the flavour even more has to do with thickening, instead of using flour or corn starch as a thickener, once the stew is done cooking, I chose to boil down some of the liquid to concentrate the flavour. This step is imperative to a really flavourful stew, so don’t skip it. You’ll find all your favourite beef stew ingredients in here, there are carrots, mushrooms, potatoes, parsnips and peas. The standard ingredients for any winter stew, don’t you think? I mean, there’s a reason these have become staple stew ingredients. I also have another very serious PSA for everyone, please, whatever you do, brown the beef before adding to the slow cooker. This adds a ton of flavour! I can’t stress this enough. So, why not try adding some espresso to your slow cooker beef stew? Trust me, you won’t regret it. Let me know if you give it a try. Heat a large pan over medium-high heat. Season beef with salt. Add oil to pan, in batches, brown beef for 4 minutes. Remove to slow cooker insert. Reduce heat to medium, add onion, cook for 3 minutes, stirring frequently. Add garlic and cook another minute. Stir in tomato paste and a splash of water to deglaze the pan, scrape off all the brown bits from the bottom. Pour onion mixture into slow cooker. Stir in carrots, potatoes, mushrooms and parsnips. Cover with broth, espresso and worcestershire sauce. Stir in dried thyme. Cover and cook on low for 6-7 hours, add in frozen peas during last 1/2 hour of cooking. Reserve and strain 3 cups of liquid from slow cooker. Boil in a large pan for 15 minutes or until thickened and reduced to 3/4 cup. Stir back in to stew. Disclosure: This post was sponsored by Lavazza – all opinions are my own – thank you for supporting my sponsors and allowing me to continue creating content like this recipe for slow cooker beef stew. Yum... This sounds delish! Coffee for depth, OMG, great idea! I recently bought a slow cooker that I can use on the stove-top, I'll have to check it out with this recipe! Thanks!